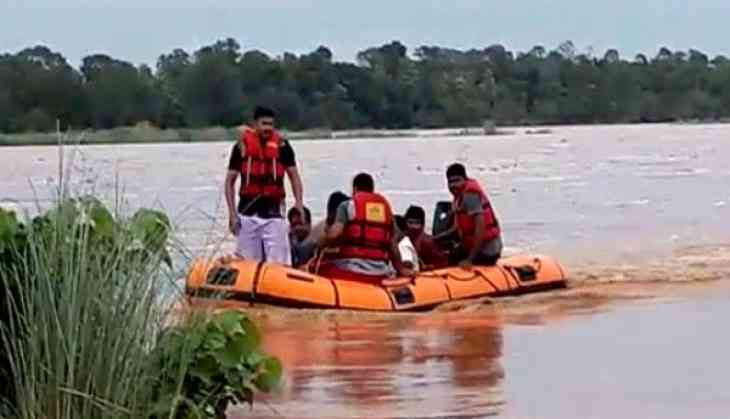 The State Disaster Response Force (SDRF) and fire department team on Monday rescued at least 55 people, who were trapped following release of flood water from Vamsadhra river Gotta Barrage, in Srikakulam district. With immediate effect, SDRF and fire department rushed to the spot and rescued all, who were trapped. The operation has ended now.